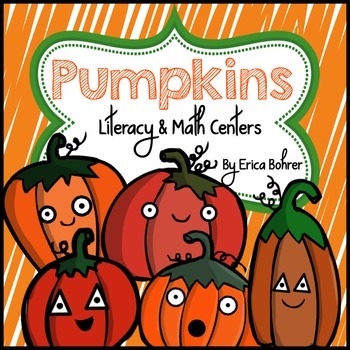 This 151 page packet is full of pumpkin themed everything! 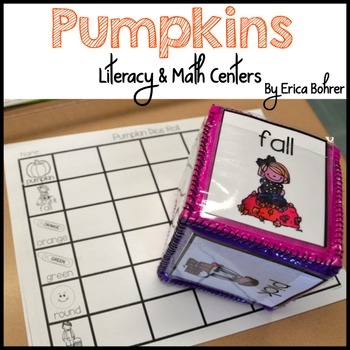 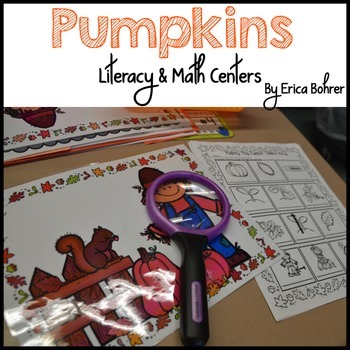 It includes so many literacy and math centers that are perfect for first grade. 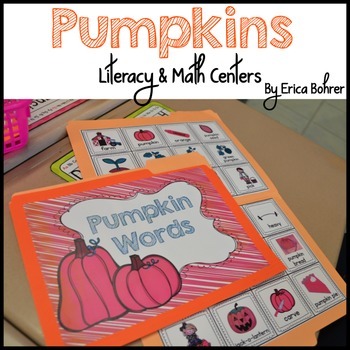 I have included a pumpkin suggested read aloud list, pumpkin themed file folder word wall with pictures, pumpkin schema chart, pumpkin word list, pumpkin word work sheet, pumpkin interactive science journal "can, have, are," pumpkin interactive science journal life cycle of a pumpkin, Jack - be -Little Interactive Science Journal experiments, pumpkin themed cootie catcher, pumpkin glyph, informational text feature cards, informational text writing paper, and more!